Note: Athletes can pick either a tempo strength day, or can work towards a 1 repetition max. Following the Deadlift, blast through todays triplet, with a goal of consecutive repetitions at all stations, and a completion in under 6:00. George is Athlete Of The Week! A big congratulations to Coach George Ryan on being recognized as Athlete Of The Week at CrossFit Amundson and Krav Maga Santa Cruz. 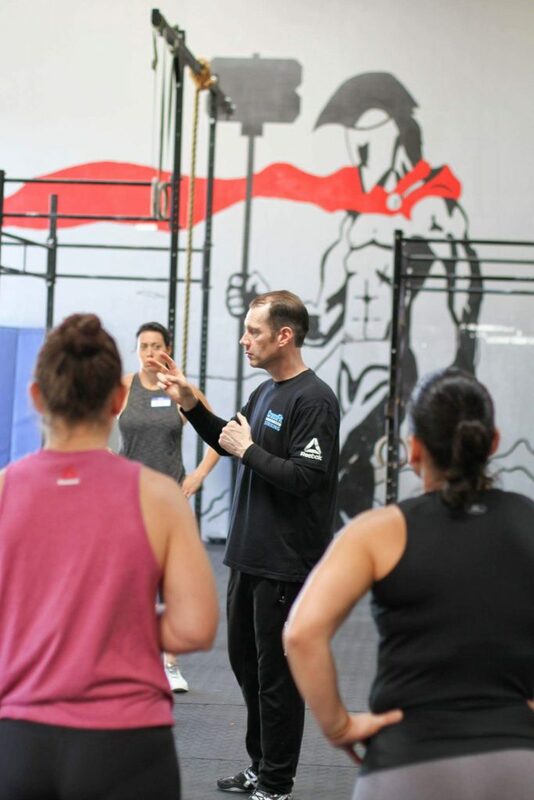 George is a world renowned Coach who has created an amazing program called “CrossFit Striking” which teaches the foundational and fundamental striking movements through the lens of CrossFit. His program seamlessly integrates many of the core principles of CrossFit into striking skills, and the result is amazing speed, power, coordination, accuracy, and a lot of fun! George is a lifetime martial artist as well, who’s deep respect for the traditional martial arts has been combined with a true modern day warrior profession as a Sergeant with the Los Angeles Police Department. In addition to being an amazing fitness and striking coach, George is also a greatly respected and admired firearms instructor. George works with zeal and commitment to bringing CrossFit, proper mindset, nutrition, hydration and all aspects of performance recovery for law enforcement to our Country. George is truly modern day American hero, with the heart of a humble warrior. Thank you for everything you do for the CrossFit and Law Enforcement community George. Ba BOOM!